John Robison was a prominent physicist, mathematician and professor of philosophy at Scotland’s Edinburgh University. He worked with James Watt on the early steam car and he later invented the siren. As one of Europe’s leading intellectuals, the conspiratorial Illuminati had attempted to recruit him into their ranks, but he declined. In 1798, Robison wrote “Proofs of a Conspiracy Against the Religions and Governments of Europe, Carried on in the Secret Meetings of Freemasons, Illuminati and Reading Societies” in which he exposed the secret societies behind the terroristic French Revolution. More than 200 years before your favorite author inked ‘Planet Rothschild’ (available at Amazon.com) — Professor Robison had these scheming psychopaths all figured out. UN = World Government / Jacob Rothschild standing, Kissinger seated right. Robison fingered Adam Weishaupt, a German-Jewish professor, as the man who founded the Order of The Illuminati on May 1, 1776 in Bavaria (Germany). Weishaupt was possibly a paid agent of the emerging Rothschild Family, also based in Germany. Weishaupt (code name Spartacus) recruited wealthy elites to his secret society. The Illuminati (Enlightened Ones) infiltrated Masonic lodges, which served as cover for their activities. They plotted the overthrow of governments, the destruction of Christianity, and the establishment of a world communal state, (New World Order) which future elites will one day rule. It is interesting to note that May 1 is a “Holy Day” for Communists, Anarchists and “progressives.” The German-Jewish Communists who briefly captured Berlin after World War I openly referred to themselves as “Spartacists” (after Weishaupt’s Illuminati code name). It is also worth pointing out that “One World” Trade Center in New York, which replaced the demolished Twin Towers of 9/11 fame, not only contains pyramid/triangles embedded within its design, but stands 1,776 feet tall — to honor the founding of the Illuminati, not the Declaration of Independence, as is claimed. Standing at 1,776 feet, One World Trade Center is a tribute to the Illuminati’s One World vision that Robison warned about 220 years ago — Notice the elongated pyramids on all sides of the new building. Wow! Did this guy nail it, or what?! German-Jew Adam Weishaupt was code-named Spartacus. More than 100 years later, German-Jewish Communist leader Rosa Luxemburg and her gang of ghouls called themselves “Spartacists.” As The New York Times front page above shows, the Spartacists actually took control of Berlin for a while, after the 1918 German capitulation of World War I. “Nothing can more convincingly demonstrate the early intentions of a party, and this a great party, in France to overturn the constitution completely, and plant a democracy or oligarchy on its ruins. 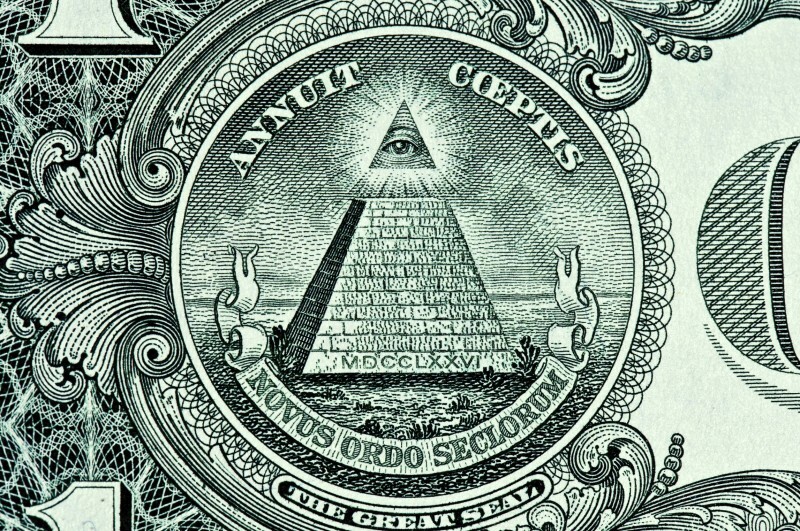 The Illuminati had no other object. ……..
Robison saw it coming: Super-centralization of state power — easy divorce – marriage & family redefined and destroyed – rampant immorality and state brainwashing of children.